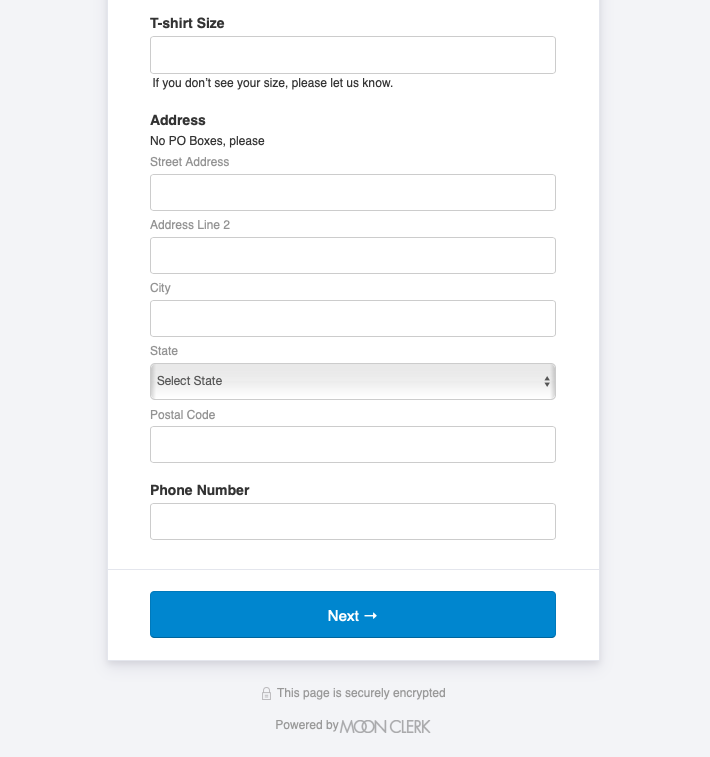 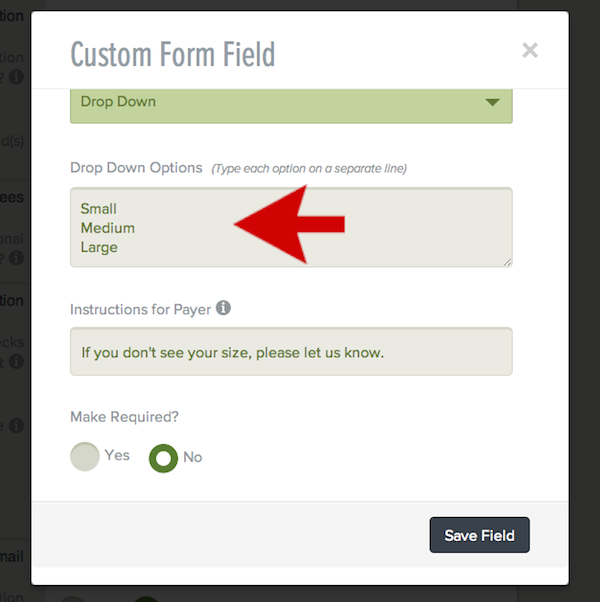 How do I gather additional custom information from payers on one of my payment forms? 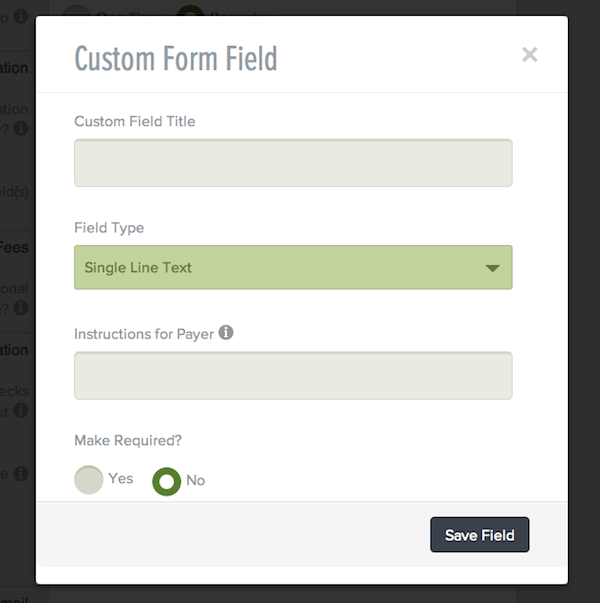 4) Enter the title of the field, choose the type of field, whether the field is required or not, and if you would like, enter any instructions for the field. 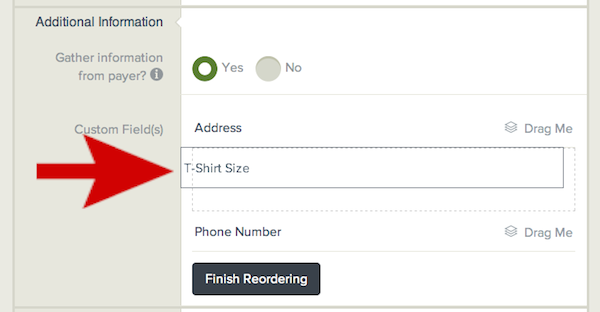 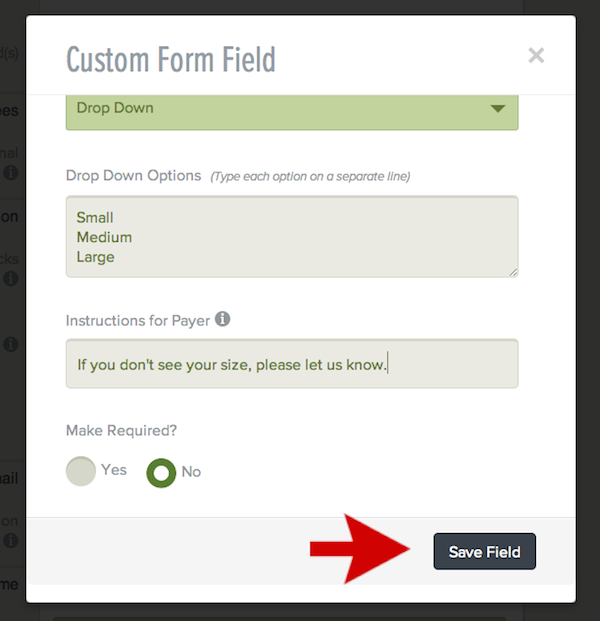 5) If you have chosen a Dropdown field or Radio Buttons field, enter the different values you would like payers to choose from on separate lines.